One student was found unresponsive after experiencing a seizure. The school nurse was not present. Telling stories through all forms of media (especially the social ones). Most likely reading somewhere. Walking around Van Nuys High School in Los Angeles (LAUSD) on January 15th felt like a ghost town. There was no familiar buzz of classes or chattering students. For the students of Van Nuys High, there was no next class. Only 23% of the student body was on campus. In LAUSD, members of the United Teachers of LA are currently participating in a strike to urge their district to improve the quality of education in their schools. This includes raising teacher wages, lowering classroom sizes, and increasing staff members in order to have more counselors, nurses, and librarians. Van Nuys High School is part of LAUSD, and today, every single one of their teachers is participating in this strike. 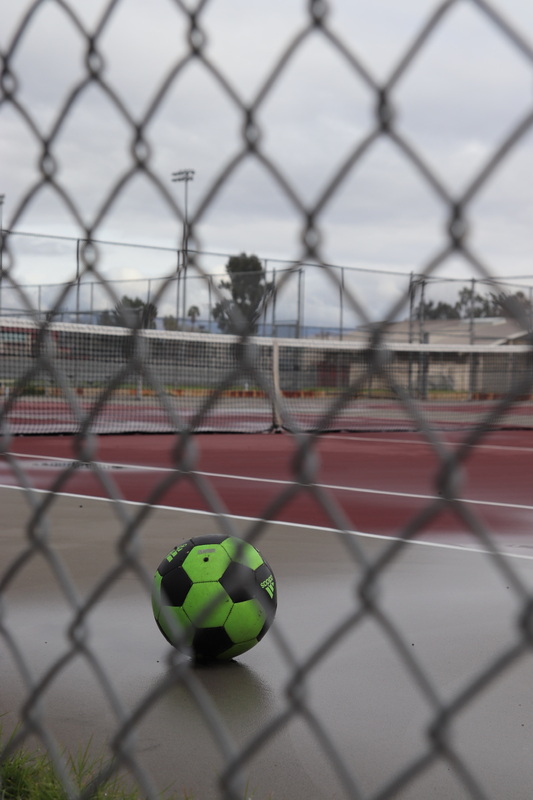 A lone soccer ball in a nearly empty Los Angeles school. Chang expresses his discontent with the district, “It’s very sad and unfortunate that LAUSD doesn’t seem to know the importance of funding schools, especially public schools,” he said. We continued our search for students and soon made our way into the main office. There we spoke with Yolanda Gardea, the principal of Van Nuys High School. Gardea expressed her support of the concerns being brought up by her staff in downtown Los Angeles—almost resentfully. Although she remained separated from the politics of the situation, she agreed with the many of the demands made by the union. 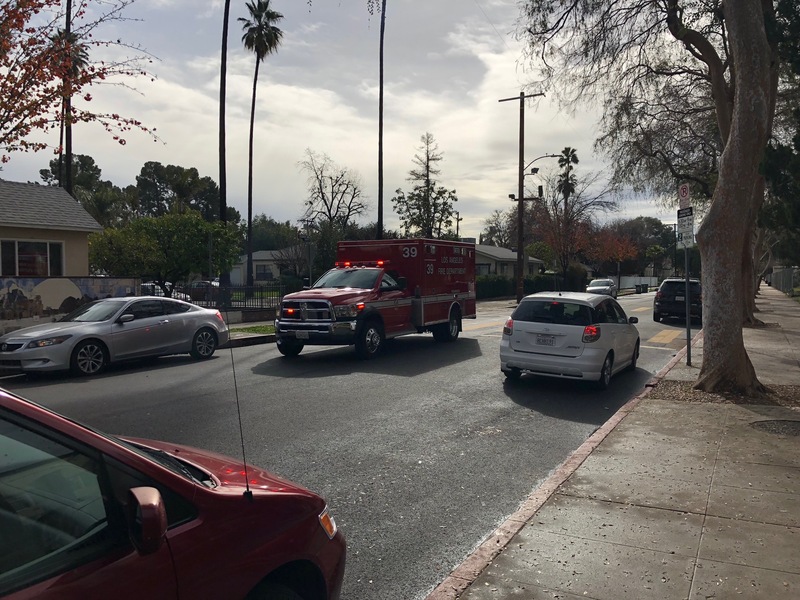 An ambulance rushes to the scene of an unresponsive student, met by a team of administrators without a school nurse present. Walking out of the school we ran into Oshree Barak, who decided not to attend today but needed to pick up some books. Barak told us she was hopeful that teachers will able to receive higher wages and smaller classroom sizes. Barak told us that one of her classes had 41 students in it. She said that she will remain in support of teachers and not attend school until they are back. Additionally she emphasized that as an aspiring teacher, she strongly urges for these strikes to be acknowledged and properly addressed. “I want teachers to be taken seriously. The deals being discussed are not good for the teachers so it’s time the district take them seriously.” she said. The 31,000 teachers, nurses, counselors, librarians, and other school staff who are striking are not striking only for themselves or their district. They are protesting on behalf of students and school staff across the country. Teachers everywhere are not paid enough. Students everywhere suffer from overflowing classes. This strike reaches far past Los Angeles Unified Schools—it is a momentum that is shared by students and teachers from coast to coast.